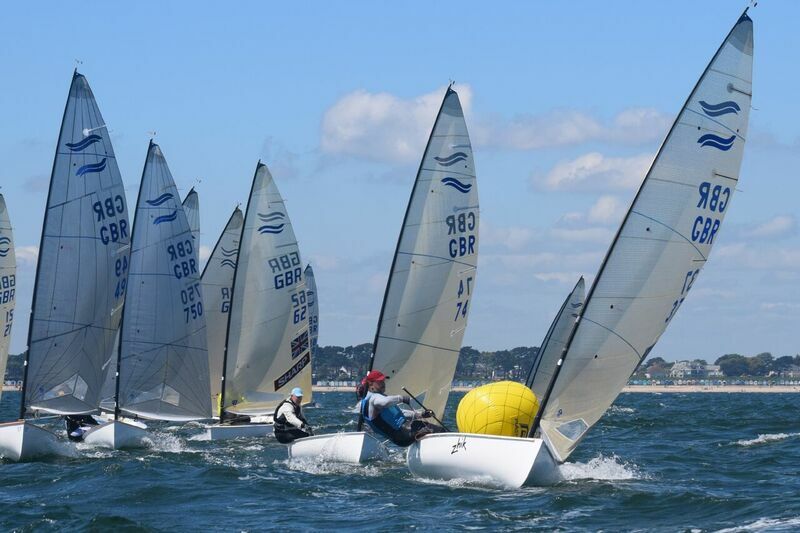 Christchurch Sailing Club welcomed 30 competitors for the Southern area championships, which was a healthy entry considering the World Masters had concluded only a week previously in Spain. Paul Butler PRO reminded competitors of some of the safety concerns when exiting and entering the harbour but looked forward to a promising day of racing in Christchurch Bay. The fleet made their way out into the Bay only to be greeted by a sea mist which reduced visibility enough to delay the start of Race 1. 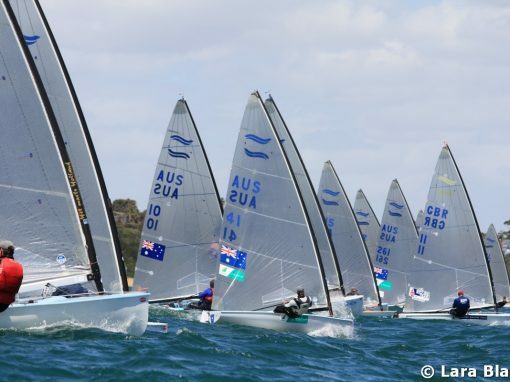 The PRO set a short windward leg so the fleet could get away and see the windward mark! Race 1 started first time remarkably, in a building sea breeze from the South West of around 10 knots, by the top mark it had increased to beyond 12 knots and the fleet enjoyed free pumping led downwind by Cameron Tweedle, followed by Henry Bagnell making a return to the Finn and Mike De Courcy fresh from the Masters in Spain. 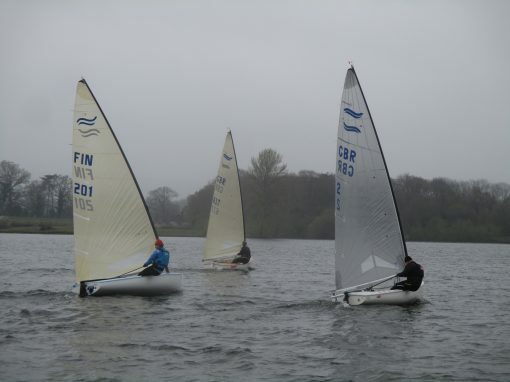 The order remained the same till the finish after some thrilling downwind surfing conditions for all with only a few capsizes. By race 2 the mist had cleared sufficiently to set a longer course and again the fleet got away first time although there were surprisingly just 4 boats over the line at the gun, Mike De Courcy, John Heyes, James Downer and Roman Khodykin. Cameron again got to the windward mark in first place and pulled away from the fleet downwind showing some solid technique in the conditions to take first place. 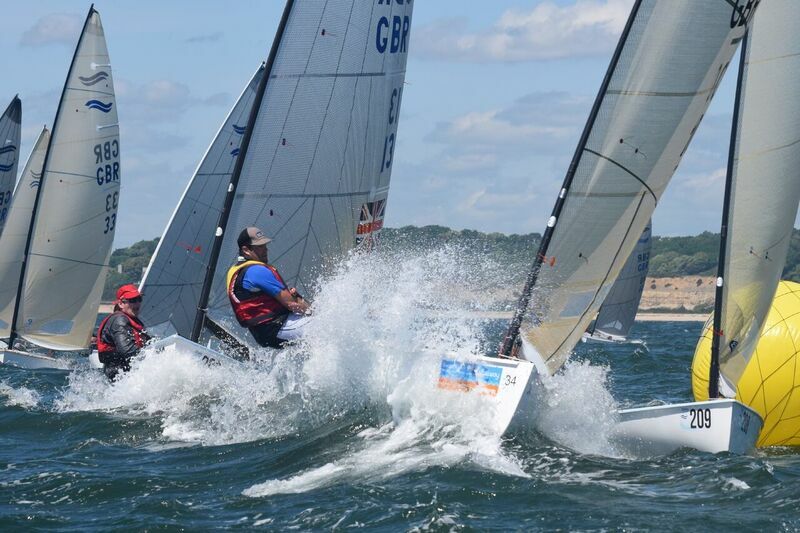 Jack Arnell recovered well from his first race to take second place whilst Lawrence Crispin took third after some solid upwind sailing. Race 3 again remarkably started first time however another group of boats were over the line, painfully some for the second time, John Heyes, James Downer and Roman Khodykin. At the windward mark and with the tide starting to ebb Jack Arnell led from Simon Percival after making the most of the tide on the left side of the course. Henry Bagnall edged out Simon Percival to take third place while Cameron got past Jack Arnell on the last leg to take 1st place. 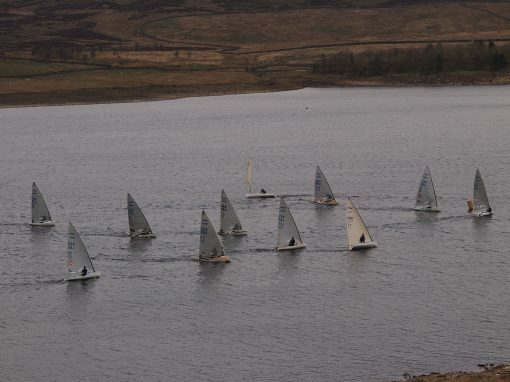 The fleet the sailed back in following some champagne sailing conditions in the Bay. 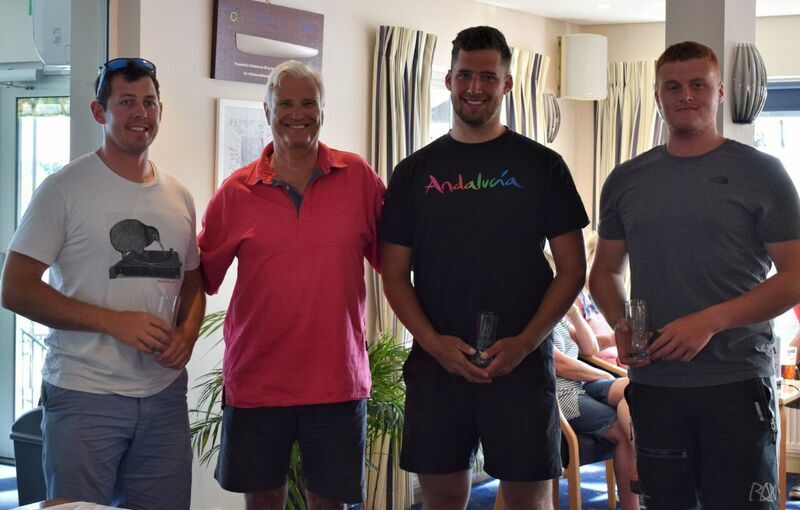 Saturday evening and a pleasant time was had by those who remained for a meal at the club, with one or two prizes handed out from `Suntouched` and `North Sails` who had kindly donated some gifts for the event. Sunday morning and the forecast looked promising for a repeat of the previous day. However, an easterly gradient breeze was cancelling out any sea breeze that looked as though it might develop. 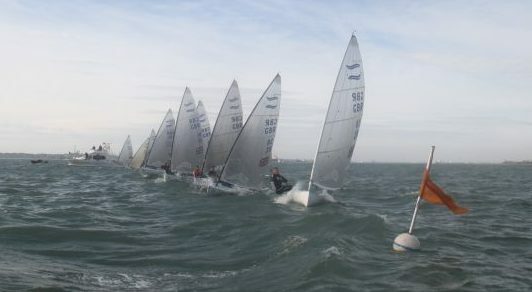 Despite the best efforts of the PRO and race team in moving the course and two abandoned starts, racing was abandoned at 1430 hrs and the fleet were towed back through the harbour to the Club. At the prizegiving the competitors were treated to a tea laid on by the Christchurch members and Cameron Tweedle was awarded the Southern Area Championship title for 2018. 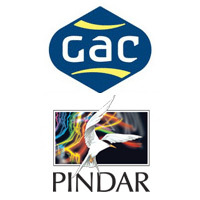 Simon Percival representing Christchurch Sailing Club thanked all those involved in putting on the event and prizes were awarded to the category winners below, again thanks to `Suntouched` and `North Sails `for their donations.